Glutarsan is a disinfectant which has marked virucidal and bactericidal activities. 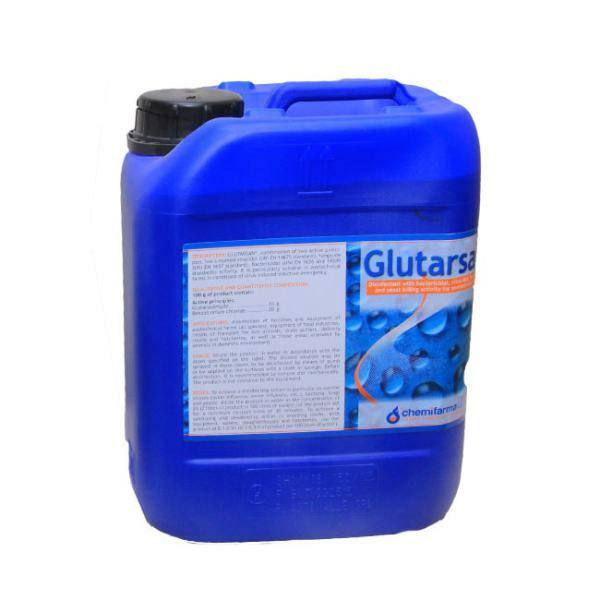 It is particularly suitable for use in farms during biosecurity protocols and conditions of virus induced infective emergency such as; disinfection of facilities and equipment of zootechnical farms, equipment of food industries, means of transport for live animals, drain gutters, hatcheries, breeding pens, slaughter slabs/houses etc. To achieve a disinfecting action in particular to control viruses (avian influenza, swine influenza, etc. ), bacteria, fungi and yeasts dilute 1 liter of the product in 50 liters of water); let the product act for a minimum contact time of 30 minutes. 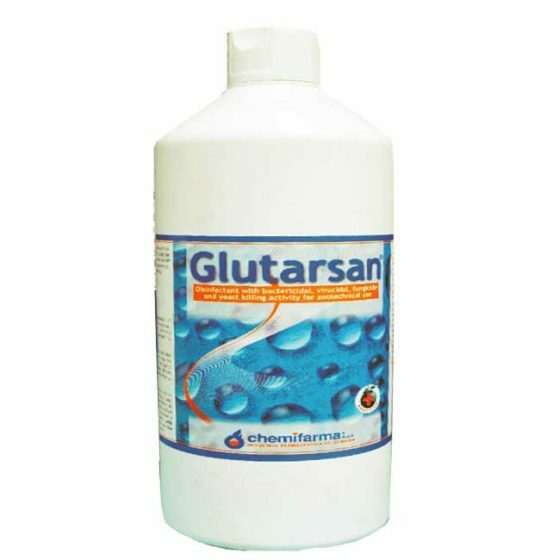 To achieve a sanitizing and deodorizing action in breeding rooms, with equipment, water, slaughterhouses and hatcheries, use 1.5ml of product per liter of water. The diluted solution may be sprayed by means of pumps or be applied on surfaces with a cloth or sponge. Before disinfection, it is recommended to remove dirt mechanically.